I’ve done my best to mentally prepare for both delivery options and for any labor plans to change quickly if need be for the twins’ safety. We’ll just see what happens on “game day!” So far, we’re all doing really well. 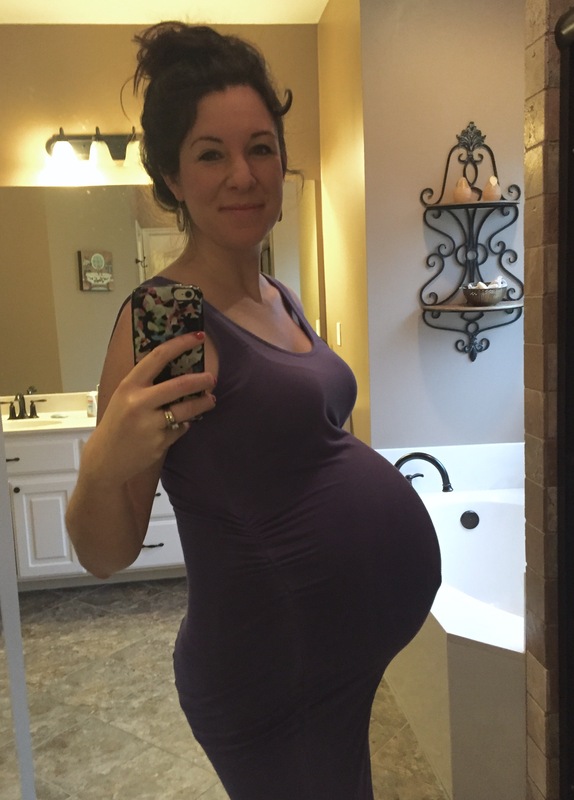 As of yesterday, both babies are in the head-down position (exactly what I want for labor – woohoo! ), but our girl (Baby B) is quite the little gymnast in there showing off all kinds of movements, twists, turns, and positions…so who knows how she’ll be on delivery day. They were both measured for their “growth scan” a week ago, so by now our boy is likely well over 4.5 pounds (ahead of schedule!) and our girl is around 4 pounds (right on track). Heart rates are awesome, fluid levels are normal, and they’ve even been seen on ultrasounds doing some “practice breathing”…which apparently they should be doing right about now. I’m so proud of them! Just a few more weeks to go now. The 3rd trimester has its ups and mild downs, but overall I’m really happy. no back pain at all – thank you, bed rest!!! the babies are now able to hear and recognize voices – Sean & I chat it up with them all the time! they’ve even started to have dreams apparently! hellooo heartburn – especially in the middle of the night, even when I watch what I eat for dinner! No escaping it. trying to sleep is a mess – between heartburn, growing pains, and having to get up to pee every 2 hours…it’s not ideal, but at least it’s starting to prepare me for the sleep deprivation ahead! out of breath – sorry to anyone who has a conversation with me, because I need to stop and take a few breaths like every other sentence. contractions…which are normal, just uncomfortable. I cannot wait to meet our two little miracles! Our Katherine is gorgeous!!!!!!!!!! So proud of your journey! Thank you for cheering me on the whole way!!! Love you! You look sooo beautiful!! Great updates and great job, mama!! Hope you have a doula and lots of support after delivery, darlin’!! Aww thank you so much! Tons of support for delivery thank goodness. Thanks again, Irene!